The Syrian Army forces have announced the complete restoration of security in Aleppo after it was been liberated from terrorists. The liberation of the city was carried out at a great cost to the government, as reported in the course of a visit to the liberated areas by Deputy Regional Secretary of the Party of the Arab Socialist Renaissance Hilal Al-Hilal FC. 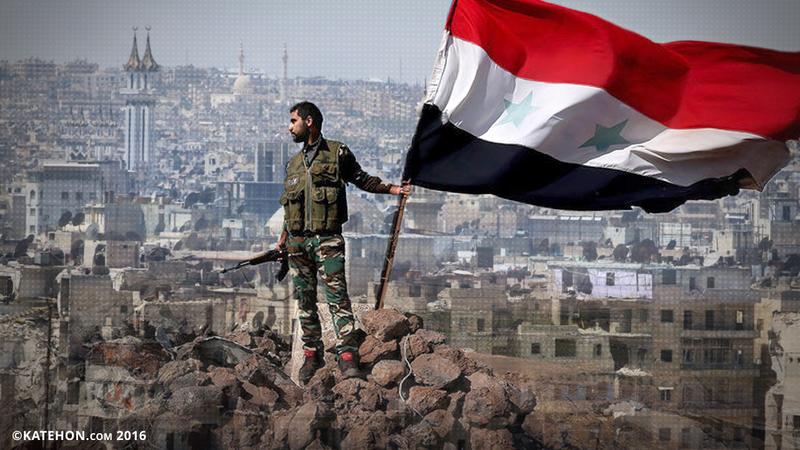 In addition, the liberation of the city was a turning point in the war against terrorism, as it was said in a statement of the Syrian military commander. “The liberation of Aleppo is an important strategic turning point in the fight against terrorism, and it makes a devastating blow to the terrorist project and its supporters”, as reported the Syrian news agency Sana. Meanwhile, today the expanded board meeting of the Ministry of Defense of Russia with participation of Supreme Commander Vladimir Putin has been held today, during which Russian Defense Minister Sergei Shoigu has said that Russia carried out its main tasks in Syria. Sergei Shoigu said: “The main tasks, which the Russian Armed Forces had since the beginning of Syrian operation, were carried out. The Russian Aerospace Forces’s actions turned the tide in the fight against terrorism in this country. Large gangs in the areas of Hama and Homs were destroyed. Terrorists were driven out of Latakia from the territory to the south and to the north of Damascus. The main highway connecting the capital with the north of the country and the city of Aleppo and Al-Qaryatayn, having key importance, were freed”. Some analysts were quick to think that in such way the military and political leadership of Russia was setting the stage for the end of an active operation in Syria. At the same time, buses with terrorists, who fled Aleppo, arrived in Idlib. The wounded, women and children were evacuated from the suburbs of Idlib to Aleppo. The evacuation took place under control of the Red Crescent and the International Committee of the Red Cross. All these facts may even result in the main front of active hostilities moving to Idlib, where for a long time terrorists were evacuated. In addition, according to some reports, the Russian Defense Ministry expects to send 'Admiral Kuznetsov' (aircraft carrier) to the home port in early February, which confirms this information. Moreover, when such data had appeared, the coming liberation of Aleppo was already obvious. Accordingly, in another month the Russian aircraft carrier will be stationed near Syrian coasts, probably with the aim of protecting a large-scale operation, which is logical to assume there.